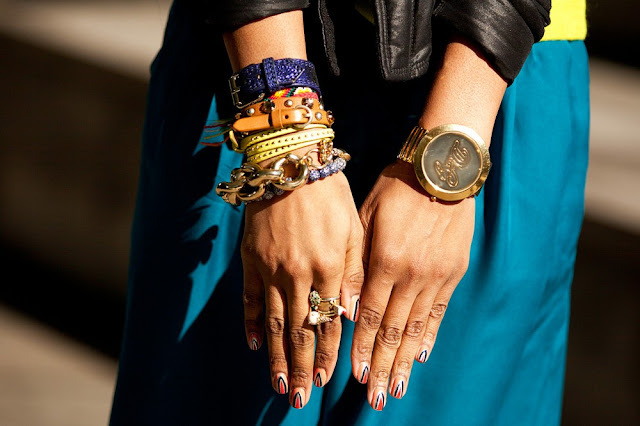 The Wrist Candy - Pile It ON! Woot! 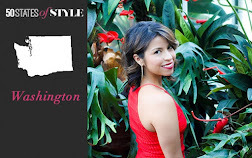 So blogger erased my last 3 blog entries... I didn't freak out, I just got a little upset. That's why I am up after midnight rewriting this blog post. Since I can't sleep, might as well rewrite... right? Ok,enough of my sob story. 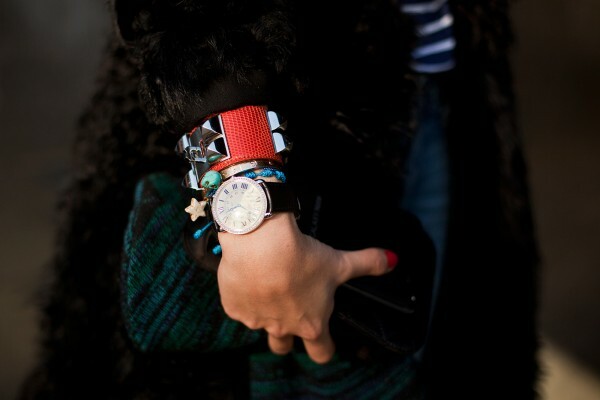 The heart of this post was about the awesome wrist flare at New York Fashion Week. So awesome it made me think about how lame my wrists have been lately. I used to be a wrist candy kind of girl. But then I started to spend most of my days at a computer with my wrists resting on a keyboard. The banging and clanking had my bracelets off and on the desk within 10 minutes flat. It was no big deal at the time. I would just rock them on the weekends. That's what I told myself and now its been months since I have worn any kind of wrists flare. Look at your wrists? Do you have any pretty flashy pieces staring up at you? 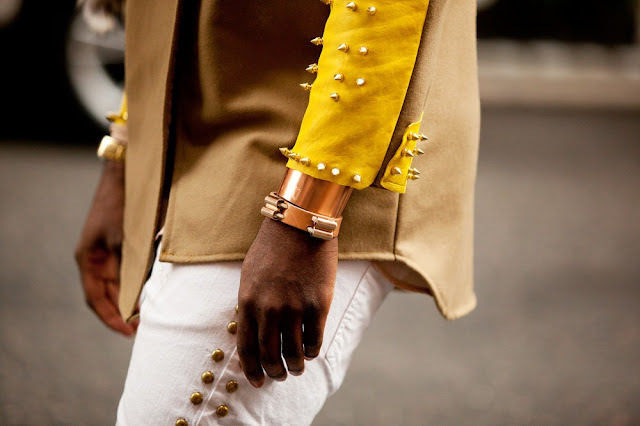 No, then take this pledge with me.."I will rock wrist flare like no one's business!!" Well at least on the weekends, you have to show a little respect for your co-workers. LOL. Blogger did that to me too. But not three at one time. Sorry. Loved all of the pictures! Really nice! First one is my fave!